Satisfy that wanderlust with a visit to the charming countries of Spain & Portugal. 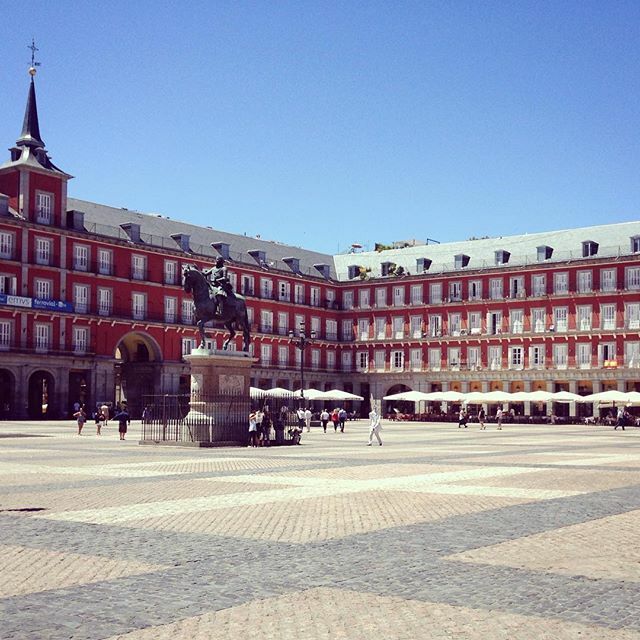 Begin in Madrid to learn more about the stylish lifestyle of the Spanish. Along the way you'll encounter architecture that surprises & culture that inspires. 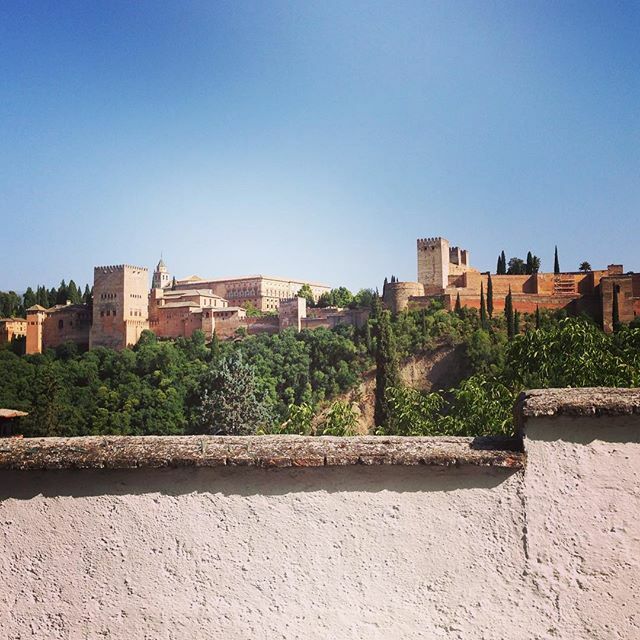 Discover Toledo, Ronda and Seville. Did someone say tapas, Flamenco and bullfighting? Yes, please! Cross into Portugal's coastal capital, Lisbon, for scenic city views. Head north to Porto, Salamanca and Avila to uncover more of Portugal's beauty. Salamanca Habla español? Doesn't matter, let us guide you on this magical sensory adventure! a trip to the highest city of Portugal, Guarda, a guided walking tour of Seville, a stop in Ronda to view the 'Puento Nuevo' bridge and many more! Welcome to the start of your 9 day tour of Spain and Portugal! On arrival in Madrid, make your way to the hotel to meet up with your tour leader and the other travellers in the tour group. 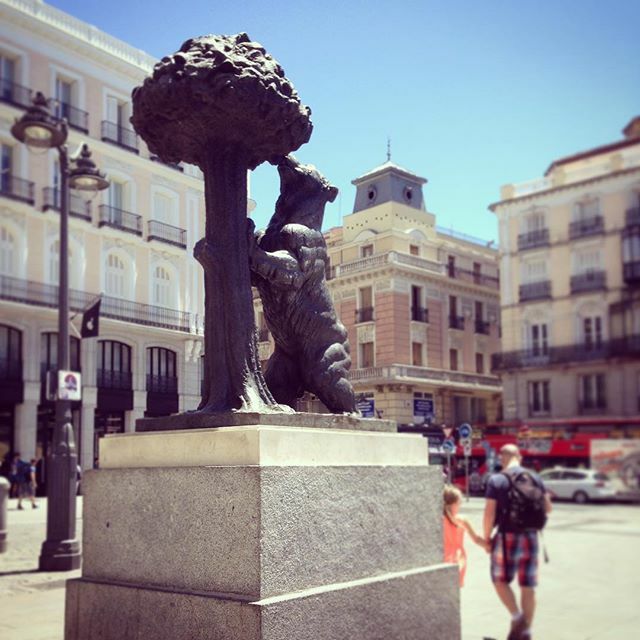 Depending on your arrival time, you may have time to explore Madrid, or alternatively relax in the comforts of the hotel. This evening, you will get your first taste of Spain with dinner included, giving you a great opportunity to meet the other travellers in the group. Join the tour in Madrid and, if you arrive early, explore the Spanish capital before meeting up with the tour in the evening for dinner. 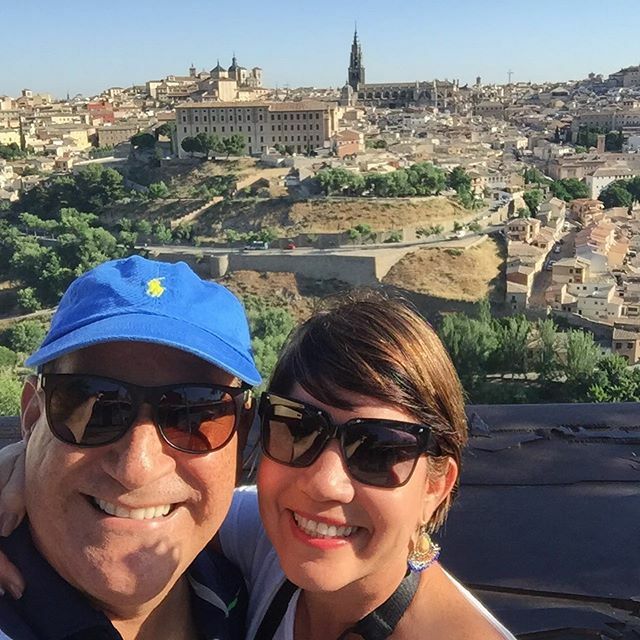 This morning, we leave Madrid and head to the UNESCO World Heritage town of Toledo. You are sure to fall in love with this charming medieval town, with its Gothic architecture and its impressive Cathedral. The tour continues south to the Moorish city of Granada. This afternoon, your tour leader will take you on an orientation tour to give you a great insight into this beautiful region of Spain. Experience the Gothic architecture in Toledo, a UNESCO World Heritage Site. The history of this region goes all the way back to the Bronze Age! Learn more about the Moorish influence in southern Spain in Granada. The city is often called the "Damascus of the West." First an Iberian settlement, it came under the influence of the Moors in the 8th century. The neighbourhood of Albaicin offers original narrow winding streets and many fine examples of Moorish and Morisco architecture. The journey through Andalusia continues! Spend the morning exploring the city of Granada, or join our optional excursion to the Alhambra Palace (please note: this excursion must be pre-booked). In addition to a rich Moorish and Medieval history, Granada is a fascinating city packed with street art, culture and the best restaurants. After a morning of exploring find your way to Ronda, a town located on both sides of the El Tajo gorge. The most iconic site here is the ‘Puente Nuevo’ (New Bridge). Take in the spectacular views from the bridge before taking a leisurely lunch. The final stretch of the day takes you to the enchanting city of Seville. Sit down this evening for a traditional tapas dinner followed by a driving and walking tour accompanied with a local guide. 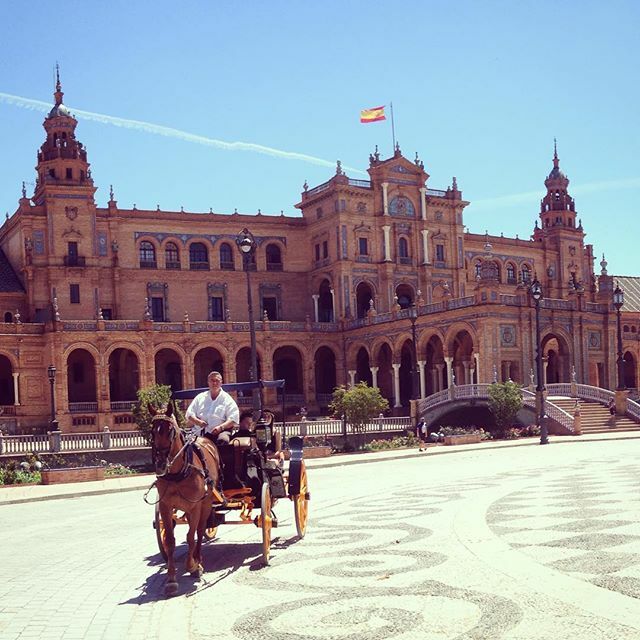 This is the ideal way to take to the streets of Seville to soak up the culture, tastes, sights and sounds of the city. Stop over in Ronda and see the towering ‘Puente Nuevo’ (New Bridge). Found on top of the El Tajo gorge, Ronda is a unique little town. Here, you’ll catch a glimpse of some truly breathtaking views! Explore Seville on a guided walking tour and learn more about its history, culture and architecture. 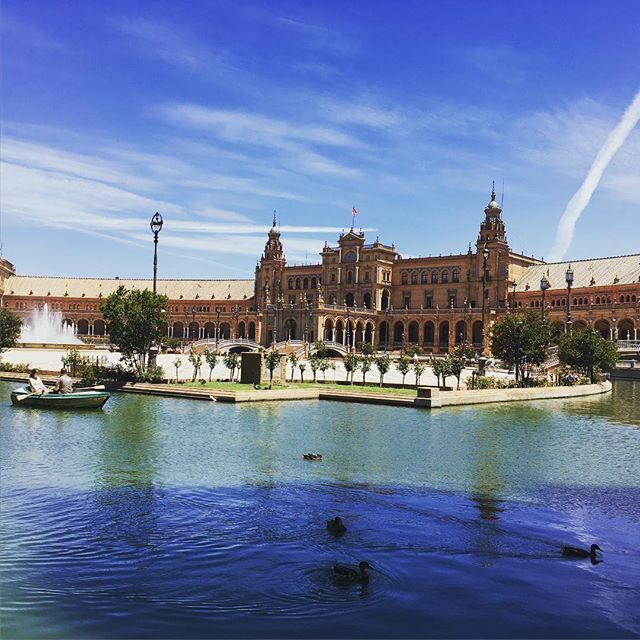 Seville is where some famous scenes for TV series and films were shot. These include Game of Thrones, Star Wars and Lawrence of Arabia. Tapas are small plates of hot and cold dishes, and Seville is known to have more than 3,000 tapas bars. 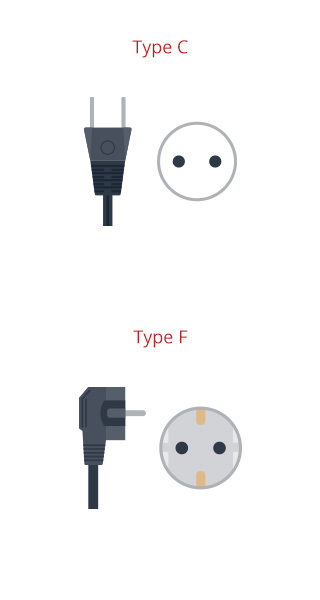 At the included dinner this evening you'll be able to try some of these famous dishes, including ham croquette, fried cuttlefish, shrimp omelette, ratatouille and goat cheese with pepper jam. Legend has it that Seville was founded by Hercules, and it has certainly had a colourful history it was named Hispalis by the Romans and Isbiliya by the Moors. With a full free day, you will have all the time in the world to explore this beautiful and pleasingly compact city. 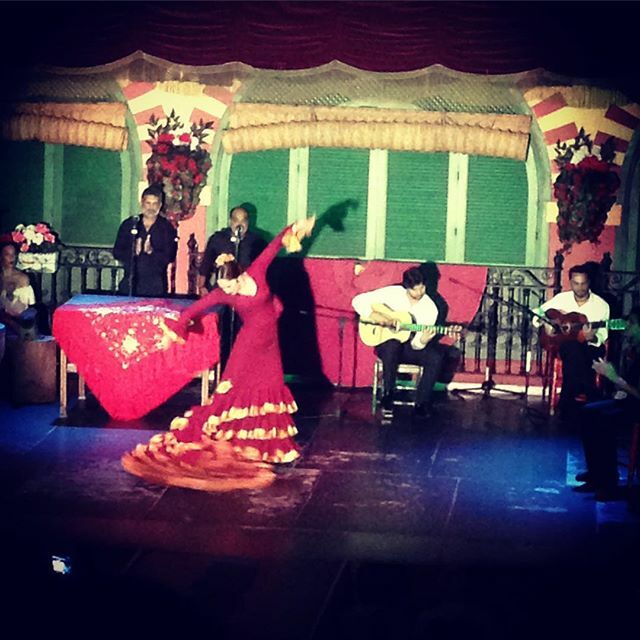 Seville is famous for its flamenco, tapas bars and orange bars. The cobbled streets of the old town make for a pleasing morning stroll, while in the afternoon you may wish to visit the Metropol Parasol for amazing views, the palaces of Alcázar Casa de Pilatos or the Museum of Flamenco. Today we travel to Lisbon, Portugal! Along the way we'll visit the Algarve, the stunning southern coastal region of Portugal that features golden beaches and limestone cliffs. We'll make a comfort stop at one of these beautiful beaches so you can top up your tan or take a dip in the ocean. Upon arrival in Lisbon we take you on an orientation tour of the capital, from the imposing Sao Jorge Castle to the pastel colours of the old town, Lisbon has it all. 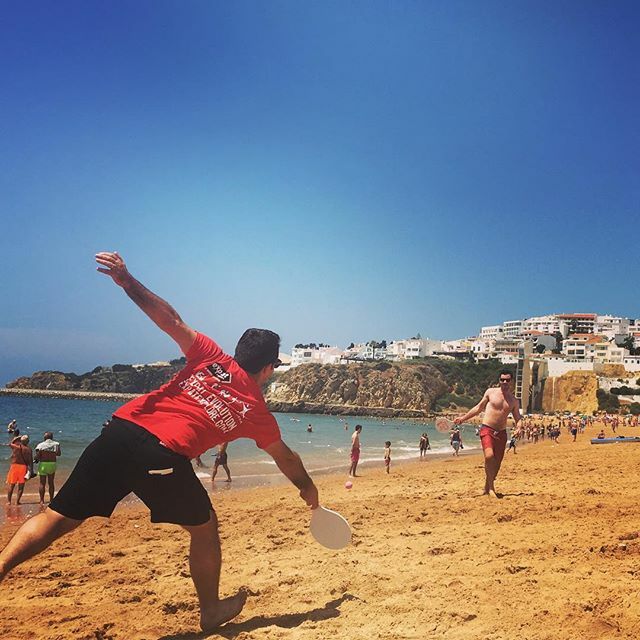 Enjoy a comfort stop at a beach on the Algarve. Relax on a sunlonuger, swim in the sea and enjoy fresh seafood at one of the many nearby restaurants. 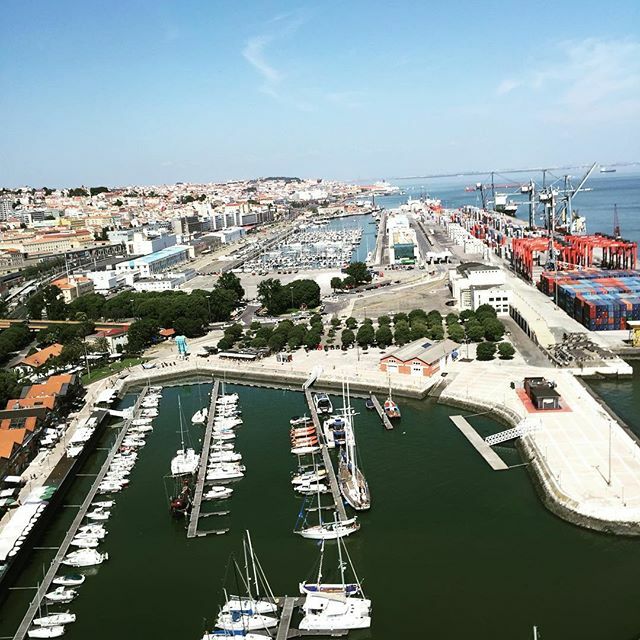 Drive alongside the Tagus river and along some of Lisbon's most famous streets and learn about the history, culture and Portuguese lifestyle. Sights like the Sao Jorge Castle and the colours of the Old Town are not to be missed. There are seven miradouros (viewpoints) dotted around the city - all offering glorious views of the city and its surrounds! Today is your free day to explore Lisbon on your own. See Lisbon's landmarks, including the Monument to the Discoveries and the Belém Tower or discover the hill top district of Bairro Alto, with dozens of restaurants and bars lining the narrow streets and lots to see and do. Alternatively, join an optional excursion to Sintra, a charming UNESCO World Heritage Site village and the capital of the Romanticism in Portugal, known for its striking monuments. This evening enjoy one of Portugal's cultural highlights; Fado music. Unique to Portugal, it is arguably the oldest urban folk music in the world - you are sure to discover bars in this area playing this type of music. On our way to Porto this morning we’ll stop off in Obidos, a classic fortified town with narrow cobbled streets, picturesque houses and an imposing hilltop castle. We continue our tour of Portugal and enter into Porto - the second largest city and one of the oldest European centres. Your tour leader will take you on a walking tour of Porto, where you will see Ponte de'Luis - a stunning bridge which crosses the River Douro, the Clerigos Tower and many other famous landmarks. One of Portugal’s famous exports is port wine, which is named after Porto, and you will have the opportunity to taste it this afternoon at the included Port tasting. Obidos - enjoy some free time to explore the picturesque medieval streets of this charming town. The main gate into Obidos, Porta de Vila, contains a beautiful tiled chapel depicting the passion of Christ, and the walls of the town can be walked in around one hour. Porto walking tour. 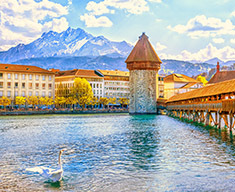 Learn about the history of the architecture, sights and the culture of this city and its UNESCO World Heritage Site historical centre. Port tasting experience - sample the famous Portuguese fortified wine. It is typically a sweet, red wine, often served as a dessert wine. It is availabe in dry, semi-dry, and white varieties. It is time to depart Portugal and travel back to Spain, as our journey today takes us through the countryside. This morning we make one more stop in Portugal before we arrive back in Spain. Guarda was founded in the 12th Century by King Sancho I, and much of the fortified towers and defensive walls he built survive to this day. Once we arrive into Salamanca, you will have time to freshen up at the hotel and enjoy some free time. We recommend you visit the old town and go up the Cathedral Bell Tower, which offers amazing panoramic views of the town and its surroundings. To cap off the evening we'll enjoy an included farewell dinner, offering three courses of delicious food from around the province of Salamanca. Enjoy free time to explore Guarda, the highest city in Portugal. At its heart is a Cathedral built in a mix of Gothic and Manueline styles. Other highlights include the Guarda Museum, Jewish Quarters and the Corgas da Matança Dolmen, a portal tomb that provides a window into the lives of the people who lived across the Iberian Peninsula during the Neolithic Period. Enjoy an orientation tour of Salamanca. You'll then have some free time to explore before enjoying traditional food from the province at an included dinner this evening. Today is the last day of your Spanish & Portuguese tour. This morning we depart Salamanca and travel to Avila, where we take a comfort stop. Avila is notable for its many Romanesque and Gothic churches, and the famous and incredibly well preserved medieval walls. We then continue onto the capital Madrid, where the tour will conclude in the afternoon. On our way back to Madrid, we take a comfort stop in Avila. This walled town and its Cathedral are a UNESCO World Heritage site. You’ll have some free time to explore the main sights in the historic centre, such as San Vicente de Ávila, a church that is one of the best examples of Romanesque architecture in the whole of Spain.